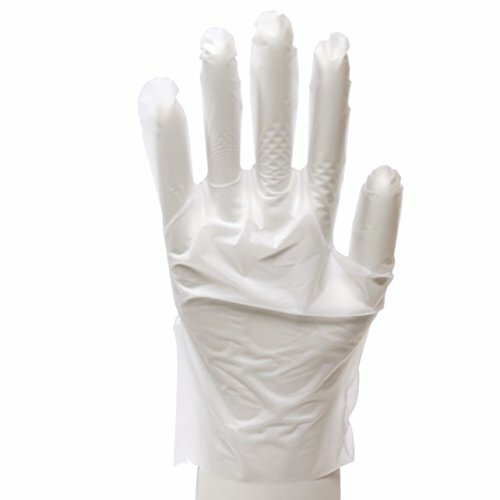 Daxwell stretch polyethylene gloves are ideal for use in food service applications. Superior elasticity to traditional vinyl gloves. Silky surface allows for easy donning without the need for powder. A more ecologically friendly alternative to traditional vinyl gloves. 100% DEHP/DOP free and 100% latex free. They conform to the hand better than traditional polyethylene gloves and allow for excellent grip against metallic surfaces. Small size. White color. If you have any questions about this product by Daxwell, contact us by completing and submitting the form below. If you are looking for a specif part number, please include it with your message.